Margaret is an engineer located in Stavanger, Norway. 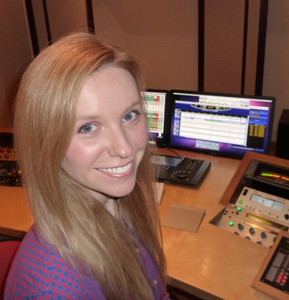 While most active as a mastering engineer, Margaret is also involved in acoustic music recordings and projects requiring location sound for film, within the Stavanger region and beyond. Her research interests include furthering the art and science of immersive audio. Her education is a Bachelor's Degree in Music Industry from Syracuse University, a Master's degree in Music Technology from New York University, and a professional certificate in Music Production and Recording from the University of Stavanger. Before coming to Norway she worked as an engineer at The Banff Centre for the Arts, the Aspen Music Festival, and as an intern at Galaxy Studios.